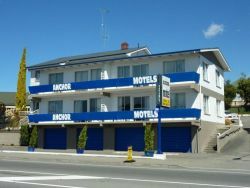 52 on Rifle Motel prides itself on delivering friendly, quality, affordable Taupo accommodation. We offer self-contained units for single travellers, family unit set-ups and 3-bedroom options, ideal for groups. Pets are welcome inside provided that they bring their own beddings/crates. 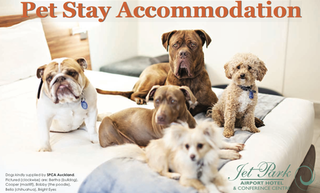 Jet Park Hotel understands that your pets are part of your family and wed like to make it easier for you to travel with them. Wed like to introduce you to our Pet-Stay Room. We have designed and furnished one of our hotel rooms exclusively for you and your pets to stay in. If outstanding service, an eye for detail, and modern and inviting surroundings set in a quiet rural location are what you are looking for, then experience a little something different in the Hawke's Bay at Clive Studios. We are pet friendly and they are allowed in the room as long as the owners respect our furnishings etc. In addition to the breath taking views, Tarata Fishaway Lodge has lots of things to keep you entertained including farm pets, river swimming, spa pools, Clay bird shooting, magic carpet rides, farm tours, spot light safaris and unique trout fishing right at our doorstep. Our Motel offers great accommodation options without costing you a fortune. 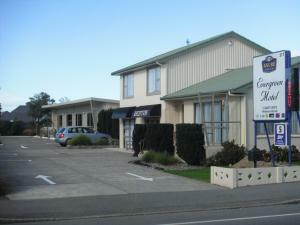 Magpie Hawkes Bay Motel can cater for pets, but only by prior arrangement. We allow lap dogs in units and guide dogs so long as they have bedding and animal does not go on furniture. Garden City Motel offers 10 well appointed, self contained units, most of them with full cooking facilities, including full ovens, microwaves and fridge/freezers. Electric blankets and 42" plasma TVs are in all units. Small dogs are allowed inside with their own beds. Immerse yourself in the spectacular view of mountains and bush scenery of New Zealand's west coast. Rainforest Retreat offers a unique getaway and dogs with their own beds are allowed inside all accommodations apart from the dorms. 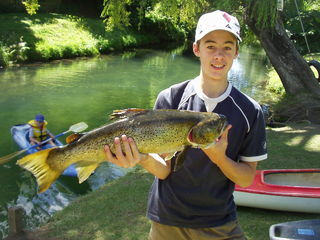 Family friendly Holiday Park nestled on the banks of the Waiteti Trout Fishing Stream. 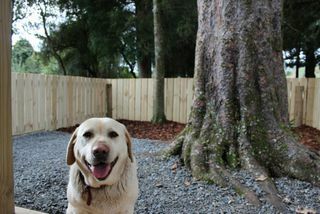 A range of affordable pet friendly accommodation including motels,cabins, lodge rooms and camp sites. Free kayaks and dinghy. Swimming and fishing in the stream. Close to major attractions. Pets by arrangement. ASURE Evergreen Motel is situated in Invercargill on the main road from Queenstown and Te Anau to Invercargill. Walking distance to shopping centre and restaurants. Five retirement homes are located within a 2km radius. Pets are allowed inside provided they bring their own beds. 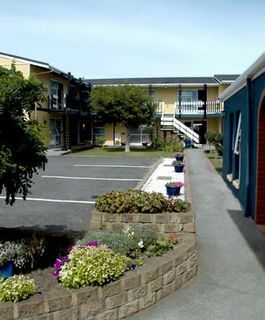 Our Timaru accommodation is centrally located, and close to the famous Caroline Bay Beach, Timaru Tennis Centre and Maori Hill Aquatic centre,Coastal Cliff Walks, childrens paddling pools. New Plymouth accommodation right here at the Flamingo Motel, comfortable 3 star+ resort style motel accommodation, free internet, within easy walking distance to New Plymouth City centre, Hospital, restaurants, beaches and the Coastal Walkway where we offer an extensive range of amenities. Pets are allowed inside their own bedding, feed bowls etc. Tudor Motor Lodge is a central self contained Motel where you can relax and enjoy the friendly atmosphere and be within a short walk from the city centre, with a large selection of café's, licensed restaurants, bars and the casino to enjoy. A 7 minute stroll can take you to either Hamilton Lake or in the opposite direction the Waikato River. Well behaved pets are welcome to stay in the units. 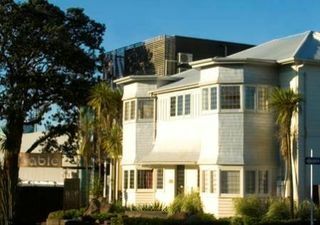 Nice Hotel & Table Restaurant is New Plymouth's only boutique hotel and award winning restaurant. Small dogs with their own beds are allowed inside. 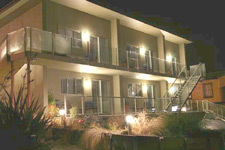 The Copperfield Seaside Motel; your elegant accommodation option for Paraparaumu and the Kapiti Coast. 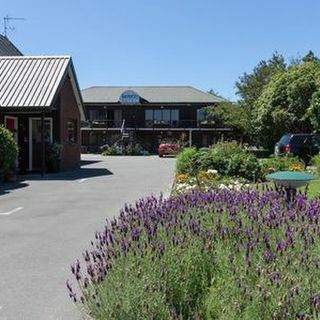 Our comfortable motel is located a convenient 2 minutes from Paraparaumu Beach and we're just a short stroll to the Paraparaumu Golf Club. Pets are allowed inside with their own beds. 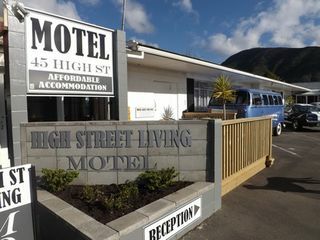 High Street Living Motel welcomes pets and people to Picton's Affordable Motel. Our location is in the heart of Picton, near the Ferry terminal and all amentities, including a vet. We welcome pets inside the units and often provide a pet treat. 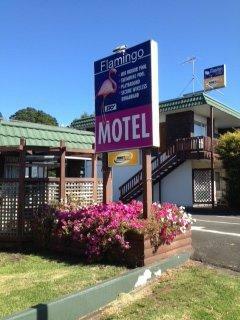 For friendly Havelock accommodation, welcome to Gateway to the Marlborough Sounds Havelock Motel. We have newly opened luxury spa and studio units with fantastic views over the marina. 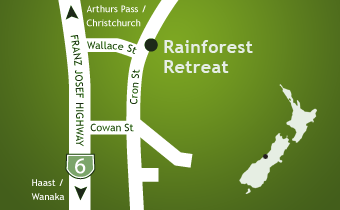 We are located on the main road , between Blenheim and Nelson. Pets are welcome inside provided they bring their own beds. 4 self-contained, ground-floor 2-bedroom units (sleep 4). Quiet off-street units with spacious parking. Walk to supermarket, shops and cafes. Guest laundry. 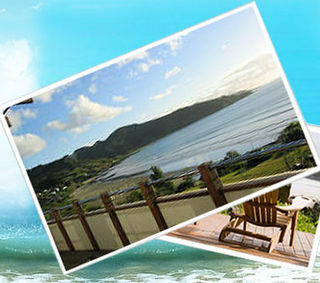 AHIPARA BAY MOTEL is situated 200 meters back from the beach on an elevated section allowing us to have panoramic sea views of Reef Point, Shipwreck Bay and up Ninety Mile Beach. All units are serviced daily. We accept pets by arrangement in our standard units. Cooked or Continental Breakfast available in your unit or the Restaurant.